All artwork should be supplied as a single High Resolution PDF file (Press Quality / PDF/X-1a at 300dpi) - industry standard settings for commercial printing. Confused? Please read our easy to understand guide to supplying artwork. Or give our artwork team a call on 0844 822 6182. 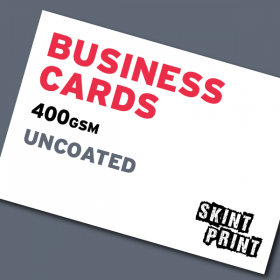 A professionally printed compliment slip can give a great impression of your company or organisation. 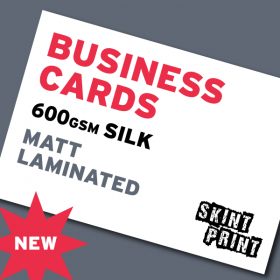 Perfect for attaching to letters and parcels, or for leaving personal notes, our ever popular compliment slips are guaranteed to give your business the professional look, for prices that are as cheap as chips! 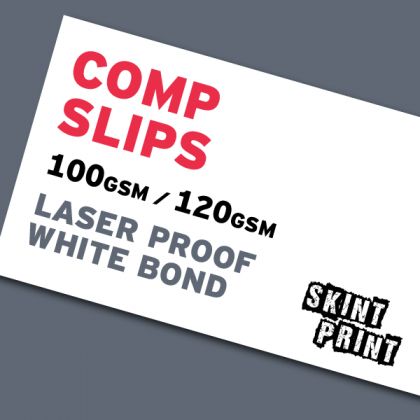 We print our DL (1/3rd A4 size) comp slips in full colour (CMYK), single or double sided, onto premium quality 100gsm or 120gsm FSC laser paper, with a smooth brilliant white finish. 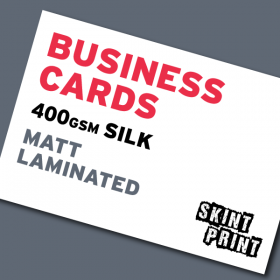 We only use the finest inks, paper and printing presses. 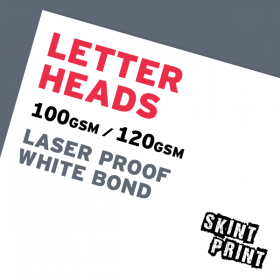 As with all our print, if you are not happy, send us your print back for a full refund! So what are you waiting for, order your cheap print online now!